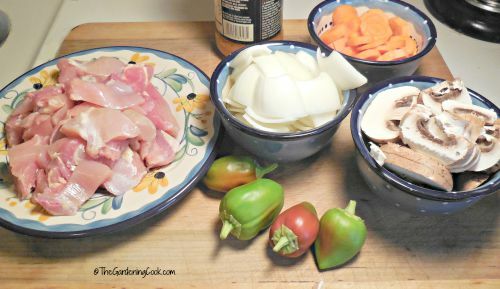 I love savory chicken curries and I love International crock pot recipes, too. My husband can take curries much hotter than I can, but I love to combine flavors to give the Indian taste without too much heat. This recipe for Chicken Tikka Masala is perfect for me and he loves it too. It has just a hint of heat and is full of flavor. I enjoy making curry recipes in the colder part of the year. They are so warming and comforting. 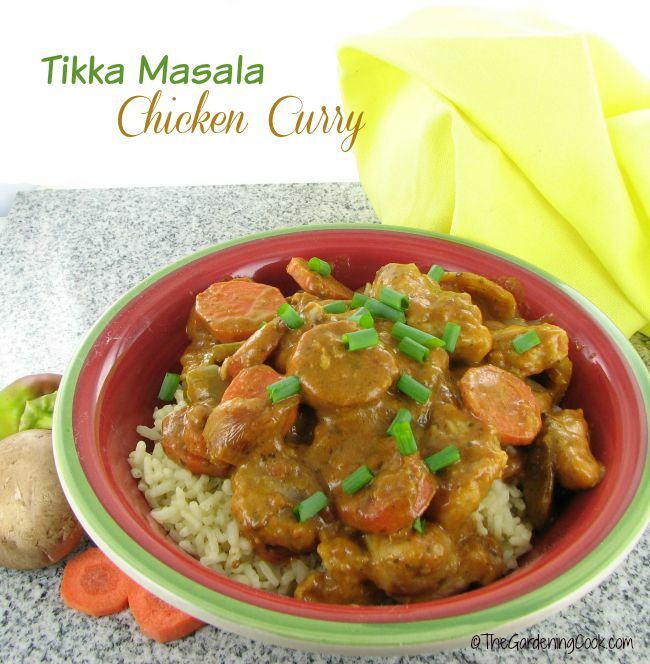 Chicken Tikka Masala Curry is full of Flavor but not too spicy. The longest part of the recipe is chopping up the vegetables. You really can use what you like, but for tonight, I chose onions, peppers and carrots. I like lots of color in my dishes and the peppers and carrots make it very vibrant. I use boneless, skinless chicken thighs. They have so much flavor, compared to boneless breasts and the chicken stays very moist too. Just cut it into bite sized chunks, season and dust with a little bit of flour. Add some extra virgin olive oil and saute until lightly browned. Then set the cook meat aside and keep warm. 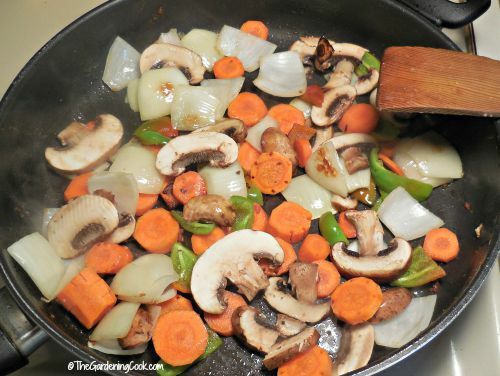 In the same pan, add the vegetables and cook until tender but still have a bit of bite to them. Return the chicken to the pan and stir in some ground cumin seeds. 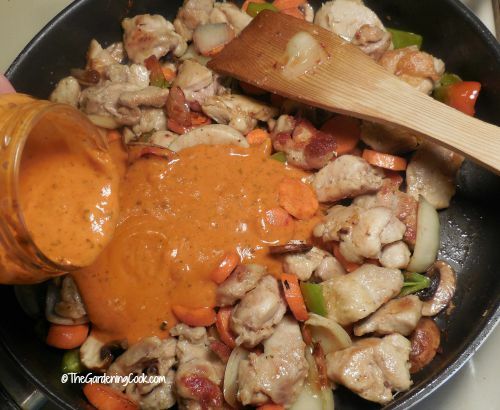 The cumin adds a nice smokiness to the flavor and compliments the sauce well. Next pour over the Tikka Masala sauce and simmer for about 6-8 minutes. Cook some rice before the rest of the dish is started the dish and the dinner is ready in about 1/2 hour. Serve with some Naan bread and enjoy! Super easy, super tasty and full of flavor! 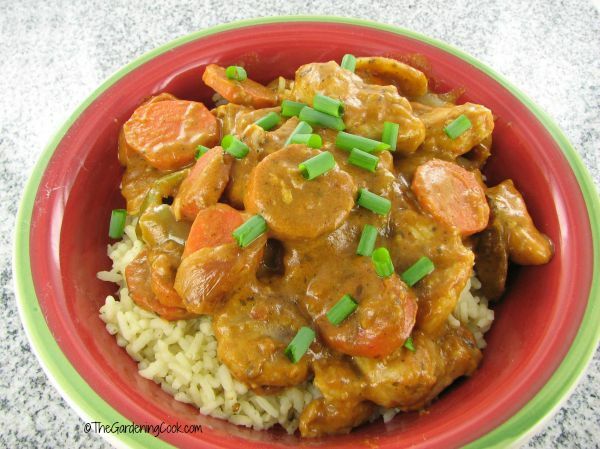 If you enjoyed this recipe, be sure to check out my Crock Pot Chicken Curry – it is gluten free, Paleo and Whole30 compliant. Cut the chicken into bite sized chunks. Season with salt and pepper and lightly dust with flour. 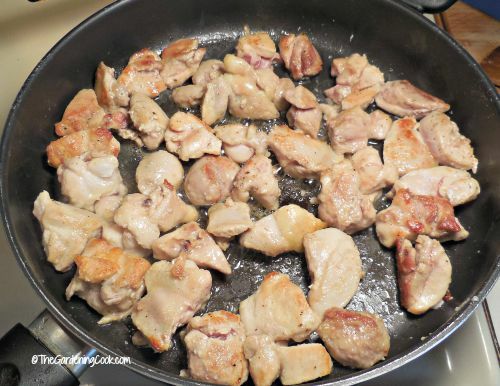 Add the olive oil to a medium skillet and cook the chicken until it is lightly browned. Add the vegetables and cook until they are fork tender with a bit of bite to them. Return the chicken to the pan. Add the cumin and mix well. Pour on the simmer sauce and cook about 6-8 minutes. Serve over warm rice. I have not yet tried the recipe but Looks like it is very tasteful and easy to prepare.would love to try it. Excellent and so easy. I will definately make this again.